Jeremy Ng is an ex-flutist turned pianist from Singapore, born in 1991. He has recorded over 200 piano videos ever since he began his YouTube journey in 2014, and he does not plan on stopping anytime soon! 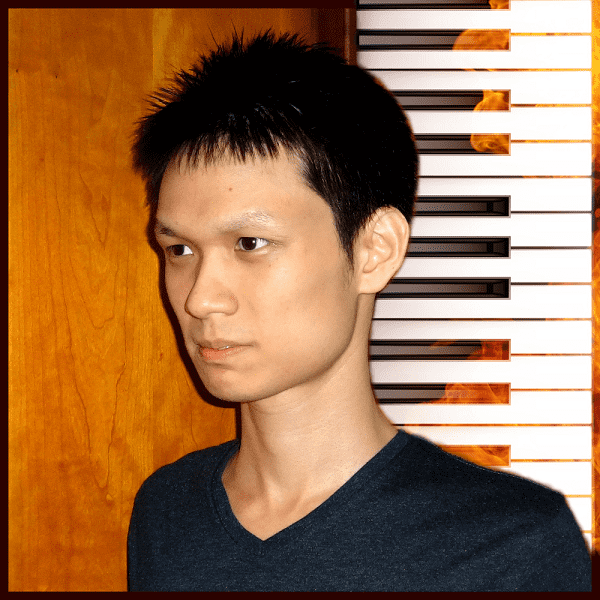 Besides his immense passion for the piano, Jeremy also loves music from the Final Fantasy series. He has recorded over 70 Final Fantasy piano tracks and hopes to finish recording all of the official Piano Opera and Piano Collections arrangements one day. Download sheet music by Jeremy Ng. Print your new sheet music instantly or sync your digital sheet music to our FREE apps for iOS, Android or desktop and interact with your sheet music anywhere with in-app transposition, text & highlighter markup, adjustable audio/video playback and so much more. Remember to visit Jeremy Ng on YouTube.